Outgrowing your current warehouse or commercial space? 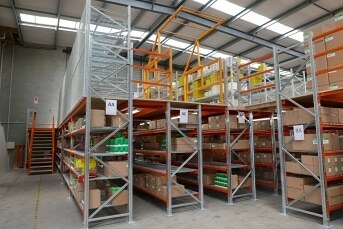 Rather than relocate, talk to us about installing a raised storage platform. From surveying your site, to planning and installation, we’ll take care of every detail of extending your storage capacity. It can be tailored to suit your needs today, and extended to grow with your business. Staircases and access can be designed in line with your needs and constraints. Our range of raised storage platform accessories helps to make your raised storage safe and efficient for access, loading and unloading – from a simple balustrade, to sophisticated gate security systems.